I’ve been playing the Call of Duty series of games since the beginning. 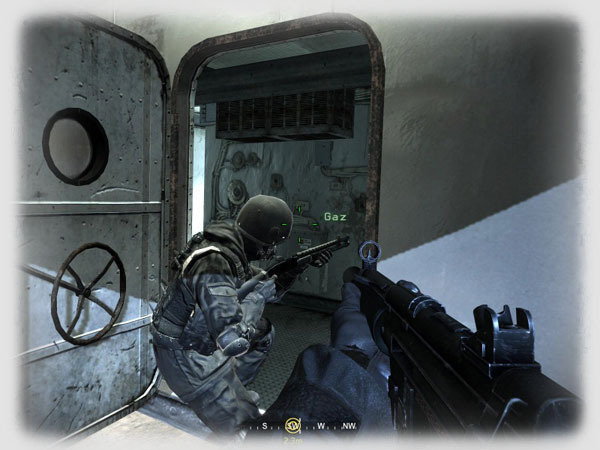 I’ve always enjoyed the games for what they are, and never expected them to be simulations or true tactical shooters. 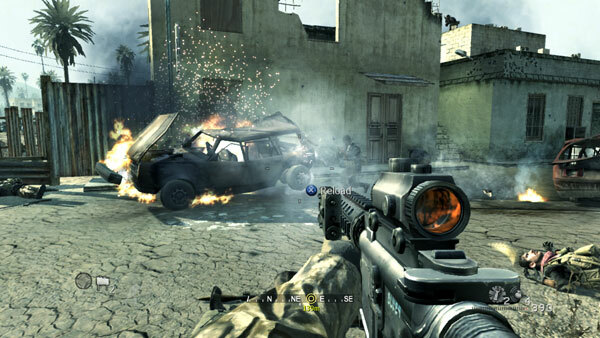 I was extremely impressed with the first Call of Duty: Modern Warfare. I still think about and remember the highlights and that great ending of the single player campaign story. To this date, I have never felt more close to characters, and a true sense of virtual regret at their endings as I did with the first Call of Duty: Modern Warfare game. Multiplayer for that game was fun and different, at least for 6 months, until what inevitably happens with these types of games. Gamers learn the maps too well, learn the strengths and weaknesses of the game, and then some players start to ruin the purpose, and the experience of the game for others. So we move on. Such is the life of a gamer. With Infinity Ward’s history of making great Call of Duty games, I was there at midnight with the rest of my fellow diehard gamers for the midnight release party of Call of Duty: Modern Warfare 2. I was there, but on duty, so I couldn’t actually pick-up my game until the next morning. I wondered: will Call of Duty: Modern Warfare 2 rise above the first one, or did the series peak with the last version? Will I have the same great movie star experience as the first? Will I feel the same feelings for the game ending as I did with the first? I bought the PC version via Steam’s digital release, and also bought the Call of Duty: Modern Warfare 2 Xbox 360 console version, which includes a new Xbox 360 with CoD:MW2 logos and graphics, two wireless controllers, a 250 GB hard drive, and of course, the game itself. There is also a version for the Sony PS3. 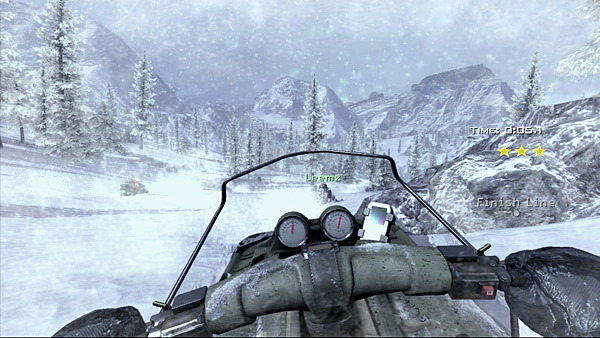 All versions play the same and have the same features, but the gameplay performance may vary. 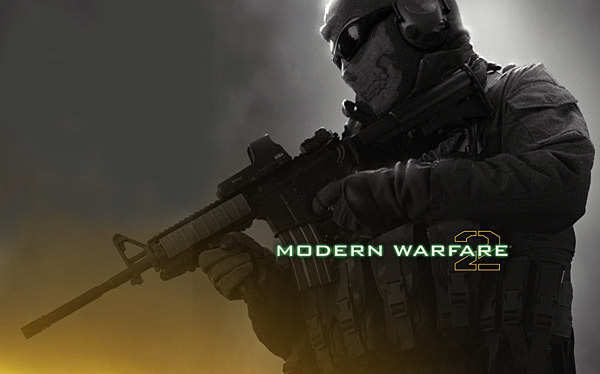 Your PC may run Call of Duty: Modern Warfare 2 better and smoother than the consoles due to additional graphics capabilities. The PC version lets you use a mouse and keyboard, of course. But there is a problem in the PC gameplay. I could NOT program the movement keys to my key pad keys, like I do with all my shooters because I’m left-handed. I was forced to use the right-handed keyboard layout. Not good. 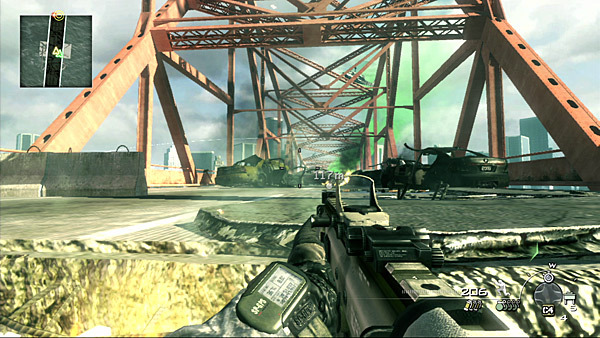 The graphics in Call of Duty: Modern Warfare 2 are incredible. Everything from the models, animations, weapons, landscapes, and explosions are incredible. Just what you would expect from this game. Even the Spec Ops and Multiplayer modes look as good as the campaign. The only real problem I have with the graphics is occasional texture tears or walkthroughs, and the excessive blood splatter that builds up on you as you get shot. An FYI to Infinity Ward. If you get shot in the arm, leg, or gut, the blood most likely won’t cover your eyes. 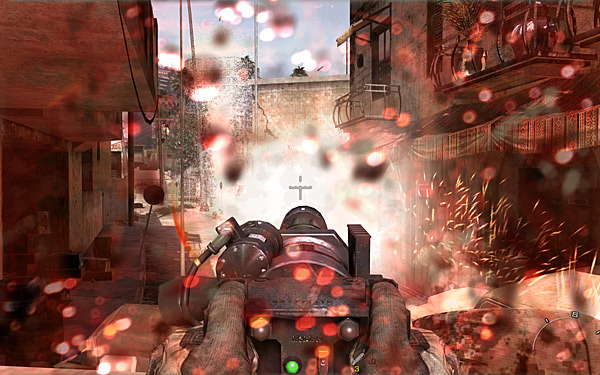 Come on Infinity Ward, is this much really necessary? Graphics quality you would expect. The sounds are very well done. Voice acting is good. The weapons and explosions sound good along with the environment. I’ve heard better on other newly released or upcoming games, but the sounds in MW2 get the job done, and done well. By the way, the music score was done by none other than the great Hans Zimmer, and what a fantastic piece of work he did for this game’s soundtrack.